Were you injured by a doctor? Our attorneys can help. Have you been injured by doctor, hospital, or other healthcare provider? You likely have many questions running through your mind. How did this happen? Who is at fault? How will this impact my family? Once you have received additional medical treatment for your injuries, meeting with a Nashville medical malpractice attorney can help you answer these questions and provide you with legal options. Many people think that medical malpractice will never happen to them, but The Journal of Patient Safety estimates that over 200,000 deaths each year are associated with preventable medical harm. Most doctors and health care professionals provide excellent care, however, some make mistakes that can have deadly consequences. 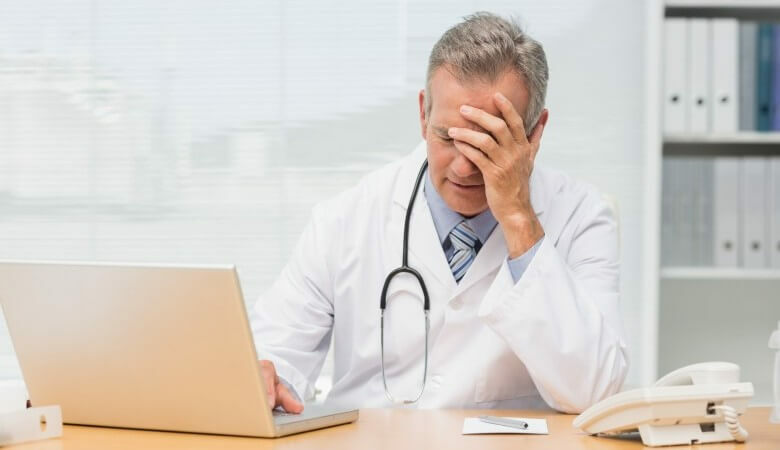 Medical malpractice occurs when a doctor or other healthcare professional fails to provide the accepted standard of care expected regarding the diagnosis, treatment, and advising of patients. A medical malpractice case includes four parts: (1) that the doctor owes a duty of care to patients, (2) that duty of care was violated, (3) the patient suffered an injury, and (4) the injury was a direct result of the doctor’s breach of duty. Surgical Error – Surgeries are risky, but there are certain things that should never happen during a surgery. This includes a surgeon leaving a foreign object in the body, performing the wrong procedure, or operating on the wrong part of the body. Misdiagnosis – Some conditions might be difficult diagnosis due to their rarity. However, if a doctor’s negligence causes a patient’s condition to be misdiagnosed, and the patient loses valuable time to treat the condition, the doctor can be held responsible for the resulting damages. Hospital Error – The most common hospital error is improper medication dosage. If a hospital uses the incorrect drug, wrong dose of medication, or fails to recognize drug interactions, patients could suffer severe complications. It is a hospital’s duty to obtain a patient’s full medical history, including any drug allergies, before administering medications in nonemergency situations. Obstetrical Mistakes – While the miracle of birth is usually a beautiful process, mistakes made during delivery can cause permanent injuries to the child and the mother. Emergency Room Mistakes – It takes a skilled physician and a skilled medical support team to handle the chaos of an emergency room. However, inexperienced medical providers can and do make mistakes when providing emergency medical care. Anesthesia Error – Anesthesia has allowed for significant advances in medicine over the past several decades, but it still remains dangerous if not used appropriately and closely monitored. Too little or too much anesthetic can cause heart damage, brain damage, stroke, or even death. Like other personal injury cases, victims of medical malpractice can obtain compensation for out of pocket expenses like medical bills, lost wages, lost earning capacity, as well as pain and suffering. Both economic and non-economic damages are designed to help the victim feel whole again and return to an ordinary life. If the conduct of the doctor or other healthcare professional are particularly negligent, it might be possible for victims to receive punitive damages. Unlike compensatory damages which are designed to help the victims, punitive damages are specifically intended to punish the parties whose conduct is in question. Medical malpractice cases are often incredibly complex. Even if a case looks simple on the surface, an investigation into your medical records could reveal a tangled web of negligence. Many doctors and hospitals don’t like taking to cases to court because it could hurt their reputation, but their settlement offers might not always cover all of your expenses. An experienced attorney will be able to determine which parties are truly at fault, and ensure you are rightly paid for your injuries. The success of a medical malpractice lawsuit will hinge completely on the knowledge and experience of the medical malpractice attorney you chose to represent you. Many victims of medical malpractice are afraid to file claims against their physicians. It may be challenging to speak out against a healthcare provider, but the personal injury attorneys at Whitfield, Bryson & Mason are here to help. We are experienced litigators that aren’t afraid to face a hospital or physician in court. You shouldn’t have to suffer from injuries caused by a doctor’s negligence. Time limitations will apply for your claim, so call us today to schedule a free and confidential consultation.